This ban on wildlife killing contests represents a significant step forward in ending wildlife killing contests in New Mexico. New Mexico State Land Commissioner Stephanie Garcia Richard signed an Executive Order banning wildlife killing contests for coyotes and other unprotected species on State Trust Lands as one of her first acts since taking office in January. With the State Land Office overseeing 9.5 million acres of land in 32 of 33 counties in New Mexico, the ban considerably advances the campaign of Project Coyote and our coalition partners to end wildlife killing contests in New Mexico once and for all. 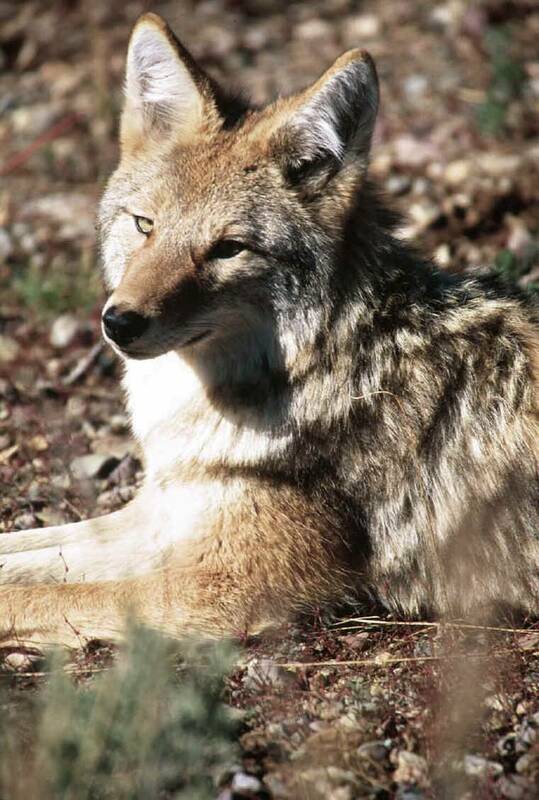 Throughout New Mexico, coyotes and other wild animals fall victim to killing contests—competitions in which participants win prizes for killing the greatest number or the largest of the target species. Camilla Fox, Founder and Executive Director of Project Coyote, and Project Coyote Science Advisory Board Member Dave Parsons joined Commissioner Garcia Richard at a press conference today at the New Mexico State Land Office. Later this evening, Camilla and Dave will join Senator Jeff Steinborn and others at Las Cruces High School for a panel discussion that will follow a screening of Project Coyote’s award-winning documentary film KILLING GAMES ~ Wildlife In The Crosshairs. The film has gained notoriety and received multiple awards at film festivals for exposing the shadowy world of wildlife killing contests. The event will be hosted by Southwest Environmental Center. The film will also be screened at the South Broadway Cultural Center in Albuquerque on Saturday, January 12. There, Camilla and Dave will be joined by a panel of experts including Project Coyote Ambassador Dan Flores, New York Times bestselling author of Coyote America: A Natural and Supernatural History, and Ray Powell, former New Mexico State Land Commissioner. Winners of the first-ever New Mexico Coyote Photography Contest, an innovative competition that encourages participants to shoot coyotes with a camera instead of a gun, will be announced at the event and will be awarded $2,650 in total prize money. Coyote killing contest organizers often justify the slaughter by claiming that by reducing the coyote population they are helping to reduce conflicts with coyotes. “There is no documented scientific evidence that coyote killing contests permanently reduce coyote abundance, increase populations of deer or other game species, or prevent conflicts between predators, humans and livestock,” said Albuquerque resident Dave Parsons (who is also a retired career wildlife biologist with the U.S. Fish and Wildlife Service and a former hunter). “We applaud Commissioner Garcia Richard for recognizing the valuable role that all wildlife, including coyotes, play in healthy ecosystems and that New Mexico residents will no longer tolerate wildlife killing contests in the state.” Read a statement condemning killing contests signed by more than 70 renowned conservation scientists here. The screenings in Albuquerque and Las Cruces are free and open to the public—click here to register.The events are co-sponsored by Project Coyote, Southwest Environmental Center, Animal Protection of New Mexico, the Center for Biological Diversity, Sierra Club, and WildEarth Guardians. Earlier this year, the city council of Albuquerque, New Mexico, unanimously passed a resolution calling for a state legislative ban on killing contests; and recently, Tucson, Dewey-Humboldt, and Pima and Yavapai counties in Arizona have passed similar resolutions. The National Coalition to End Wildlife Killing Contests, a growing alliance of more than 30 state and national wildlife and animal protection groups, along with local citizens, will pursue policy changes at the state and local levels across the nation in 2019.